Garden furniture, also called patio furniture or outdoor furniture, is a type of furniture specifically ... The British 'garden parasol' or American 'garden umbrella' is the term for a specialised type of umbrella designed to provide shade from the sun. 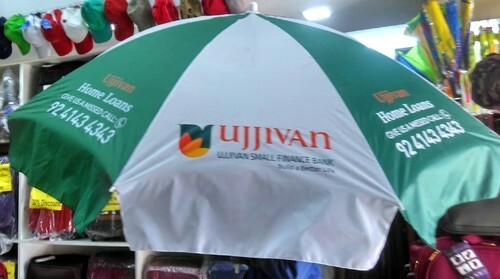 We manufacture custom designed other promotional products that include Advertising umbrellas, Promotional Display Tent & Canopies, Display Stand, Standees, Roll Up Banner and Promotional Umbrellas. We also deal in T-shirts and Caps. These find applications in corporate buildings, showrooms, malls and retail chains. These products can also be customized as per client’s specifications within the given time frame. We can also customize our offerings based on the requirements of our customers. We also possess an enviable track record of offering ordered consignments with zero defects.